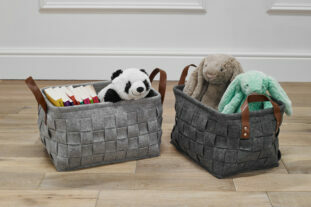 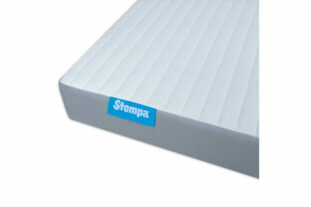 Free Delivery Currently out of stock-due Late May- Pre order now! 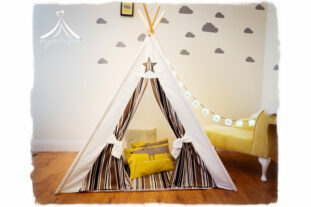 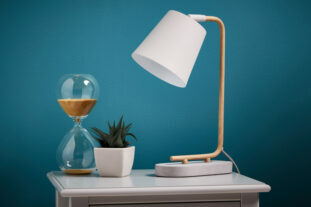 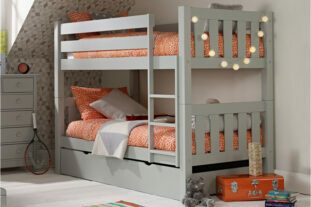 A super stylish, scandi designed room set from the stunning Bodo range. 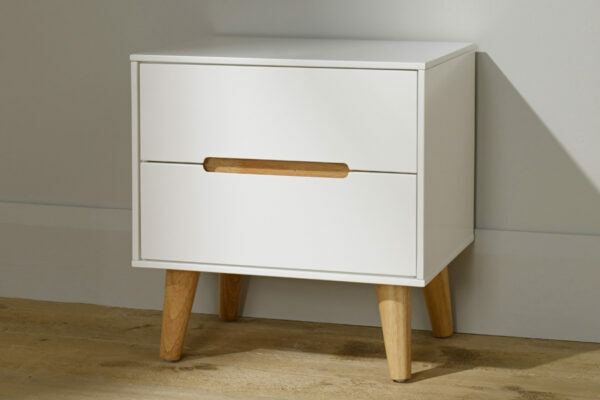 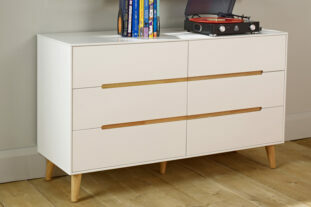 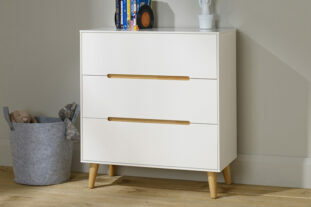 Including 3 fantastic pieces of furniture made from a solid silk white MDF with stylish oak effect detailing. 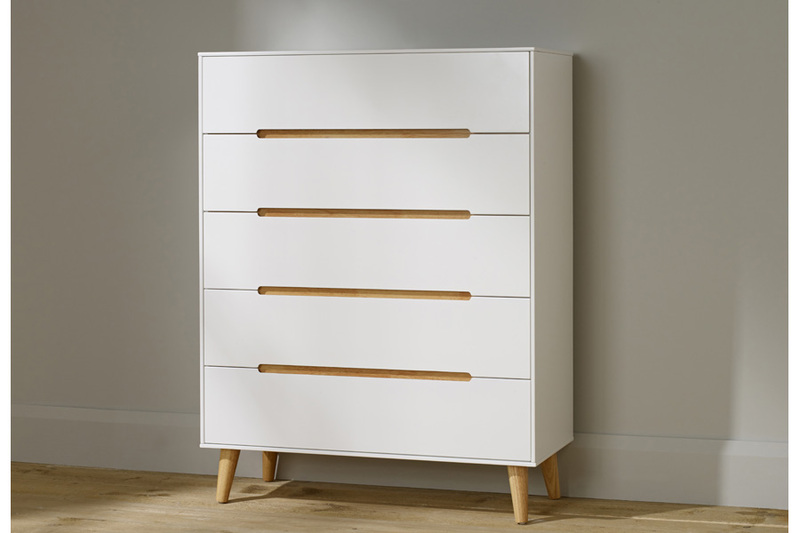 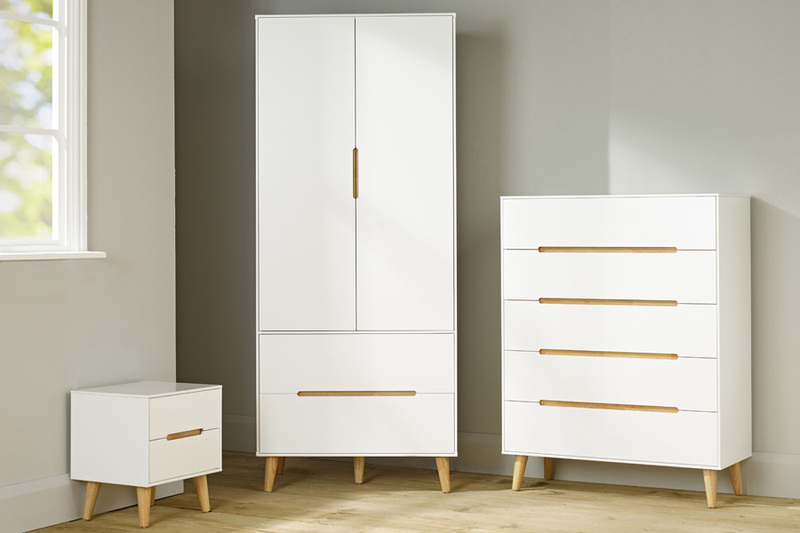 The 2 drawer bedside, wardrobe and 5 drawer chest will complete any room and provide sufficient storage for all your clothes and accessories. 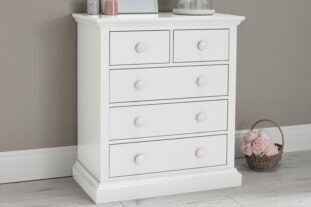 A timeless room set which will last through out the years and at a fabulous price. 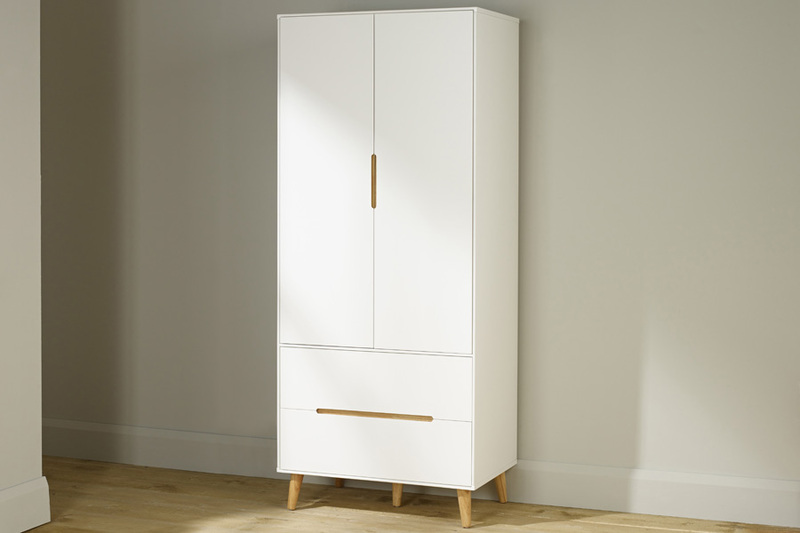 * Bodo Wardrobe – Length: 530mm x Width: 800mm x Height: 1730mm Hanging space: 1140mm from base of robe to rail.